I have to make another baby girl quilt and want to use a simple pattern for fat quarters - don't even care if I have to buy 1/2 yards at a time, but can't find anything decent and somewhat traditional in baby girl. suggestions? I'm unsure what you're looking for. Princess or fairy or . . ? I rely more on color choices in baby quilts than on prints. Sorry I'm no help. where are you located in case you you are near a place I might know. what do you mean by "somewhat traditional in baby girl"
How many are you looking for. 1 or 15? since you say fat quarters or yardage. And colors. "Traditional bab girl" canmean different things to different peple. Flowers? Cupcakes? Ice cream cones? Toys on pink background? Scenery? Animals? Letters? Butterflies? That's a great link!! Has my mouth watering already!! So sweet fabrics! Just about every quilt fabric is more girl then boy. 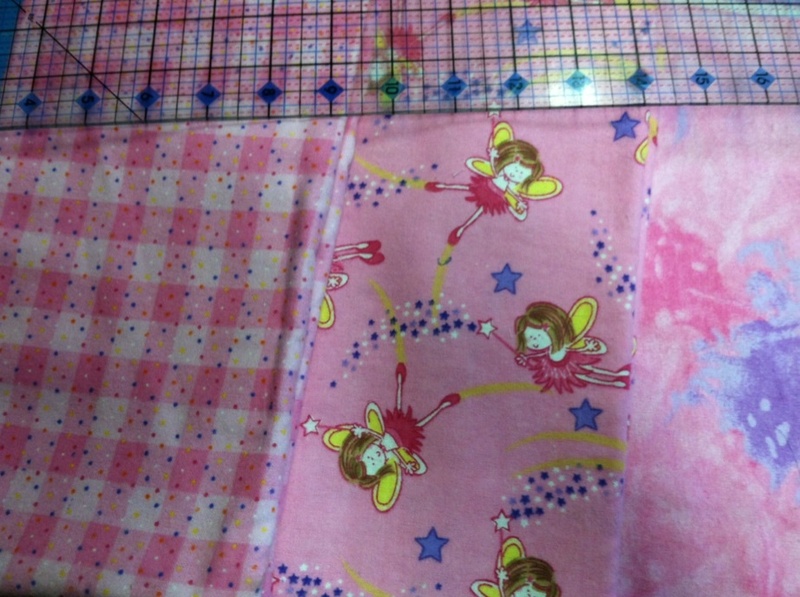 There's a really cute pink dancing fairy flannel that I used for the last baby girl quilt I made. I got it at Walmart and I saw some still there a few days ago. This is a picture of the fabric and the two coordinating fabrics I used. I'm thinking bunnies, puppies, ducks, rattles, moon & stars. Most of the fairies and things I'm seeing are too modern/little girl, not newborn. I looked at fatquartershop and we are making progress now! Maybe not to girly, but a simple one. 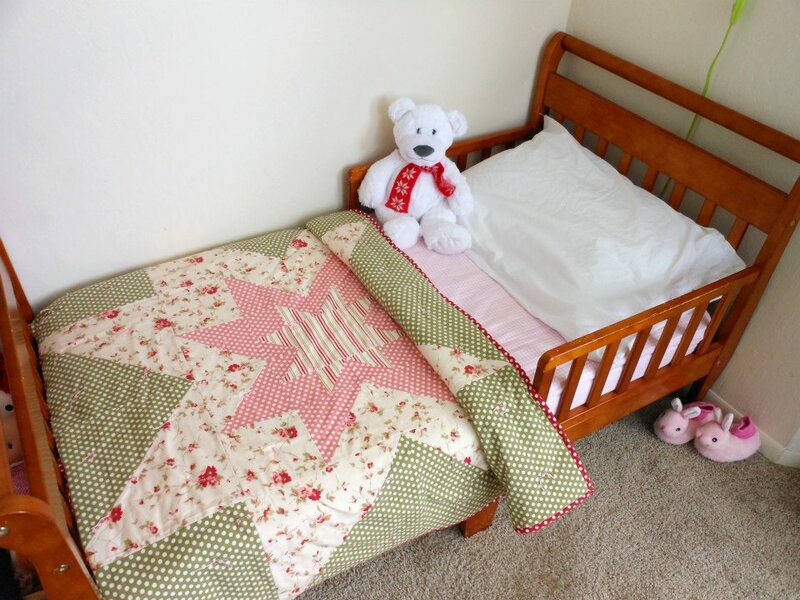 Have you asked the mom what color scheme or theme she has in the nursery? 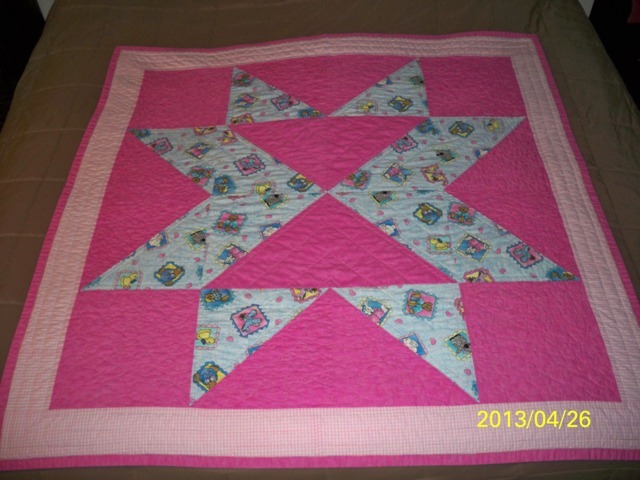 I recently made a pink, white, grey quilt in chevron design for a modern mom who likes those colors/patterns. The back of it is a pink print with little girls playing, jumping rope, etc. My point is some new mothers have very distinct tastes, so it's good to know what they are if you want the quilt to be loved and used. The fairies are adorable but that speckled check grabbed my eye. But a newborn isn't "little" long! I found the same...many want colored plain prints and are fuzzy about color. I think I know what you mean, I have just started looking, she's not due til Jan. But I am not impressed with the colors I have seen so far. I'm looking for the traditional, soft baby colors. Something that when completed with be restful, calming, tranquil, no popping wanted. my favorite quilt store on line, beverlys' fabric, they have the cutest baby fabric, traditional and non, and oodles of panels. I would look for a pre- cut ensemble - Riley Blake has a lot of coordinated baby girl type fabrics - and of course Moda too - I love getting the fat quarter bundles - you don't have to find coordinating fabric you just need your pattern and you're good to go. 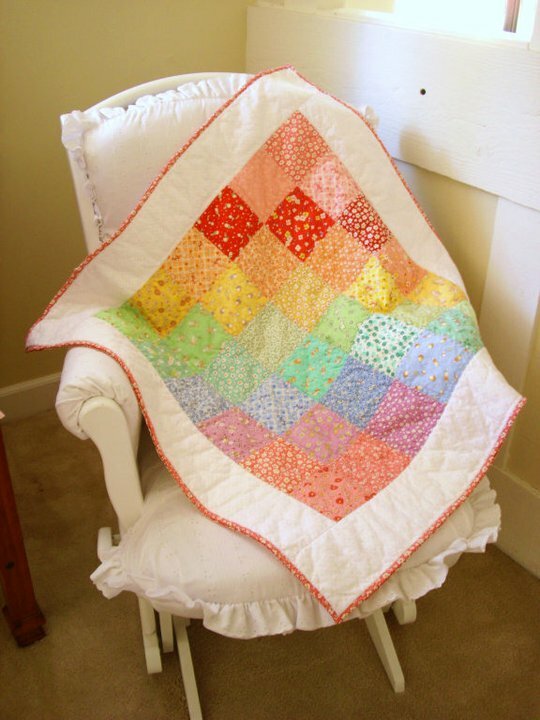 i as well have a baby quilt to be creating soon(real soon) I will be doing a Black, white, bright pink, polka dot theme Chevron toddler quilt, found a free pattern online too. Google "toddler chevron quilt" the Chevrons are very popular right now, mom loves the Chevron, what she found in the baby stores. I feel your pain, took me forever to get the plans settled on, mom was having a hard time describing what she wanted. i have three or four fairy butterfly soft print as well as some batiks that i love to use. 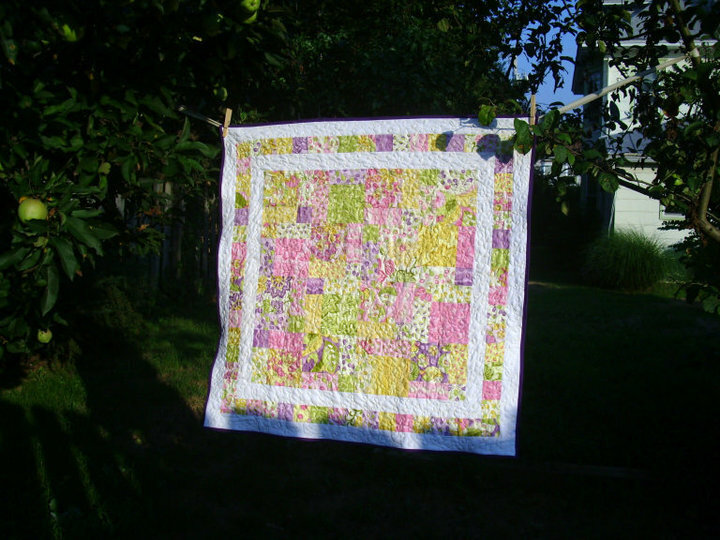 i love to use soft colors in baby quilts. abd to make them more for a bit older baby to love as they grow up. both my little ones still use their baby quilts and love them. i have made larger ones for them to use as they get to big to be wrapped up in the baby size quilts. Try out www.bearpawquilting.com click on the online catalog and up pops everything by what it is like trains, flowers, boats, fairies, cars ect ect.